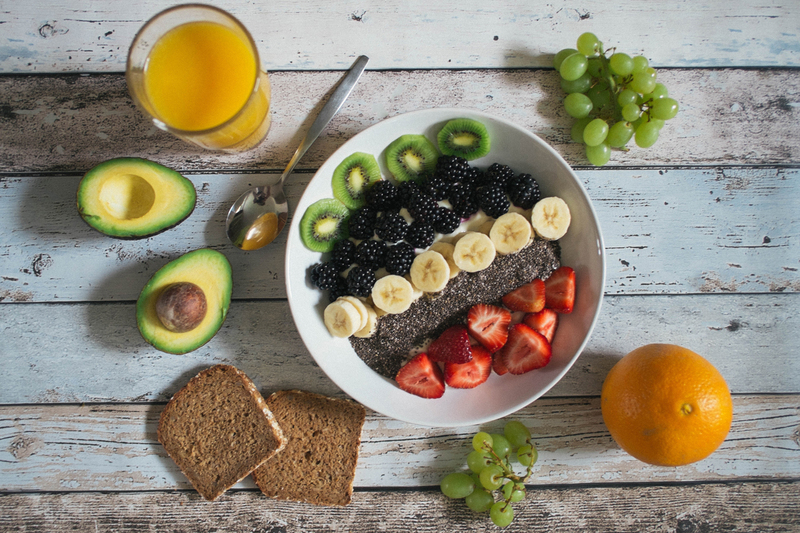 As plant-based diets are becoming mainstream, understanding exercise nutrition, including what and when to eat before and after a workout is important to help maximize your performance and get the most of any workout – for vegans and non-vegans alike. While exercise alone does make us feel amazing, combining exercise with the right nutrition leads to better results both physically and mentally. A pre-workout meal makes sure you aren’t running on an empty tank, and replenishing post-workout ensures your body gets the right nutrients necessary to build and repair muscle, boost recovery, and restore energy. To help you get the most out of your workouts, we put together 12 of our personal favourite pre- and post-workout snacks for all of you plant-powered athletes out there. You wouldn’t take off for a road trip with an empty tank of gas. So why would you workout without properly fuelling your body? Properly planning your pre-workout plant-based meal will supply your body with increased stamina & strength to keep you going strong! Fit a small meal into your schedule about 45 minutes to an hour before you train. Prior to your workout fuel your body with a meal that will get into your system quickly. This way you aren’t digesting your food when your workout starts. Think of your pre-workout meal as your fuel. You want to be able to sustain your energy during your training session and not run out of steam. The emphasis should be on consuming whole plant-based foods consisting of mostly carbohydrates, a portion of raw or minimally processed protein (such as hemp) and a small about of healthy fats. Designed to be consumed about 40 minutes before a long or especially intense workout, this easy-to-digest pre-workout fuel will provide your muscles with clean-burning carbs to carry you through the toughest of workouts. Smoothies are a great pre-workout choice. Since it’s in liquid form it will digest easily and therefore reduces the risk of getting that uncomfortable side stitch. 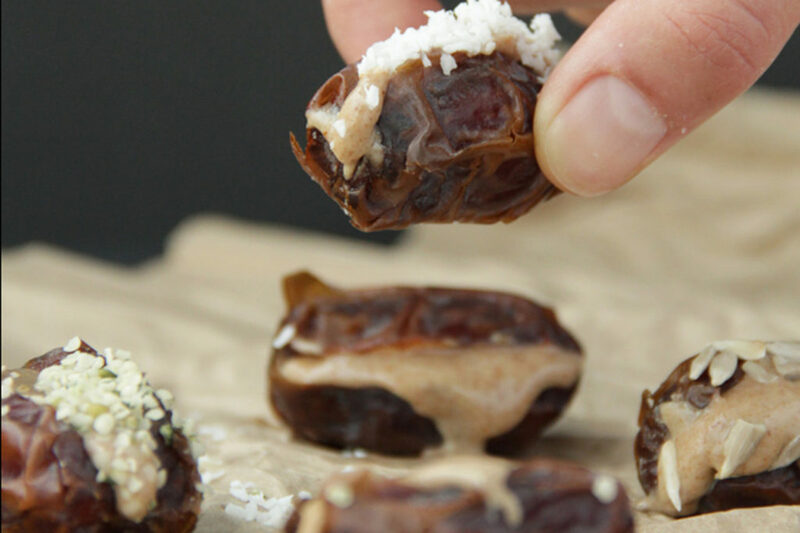 Dates have what is often considered an ideal ratio of carbohydrate to a protein of 3:1 which will provide sustained energy. This quick fix is a great option to fuel your longer workouts or to take with you on a hike or a long distance bike ride. One of the MOST common athletes’ snacks is a banana with a little nut butter. And it works. Filled with potassium, manganese, and carbohydrates the banana is great for energy and avoiding potential muscle cramps. Additionally, it has been shown to help settle an upset stomach! 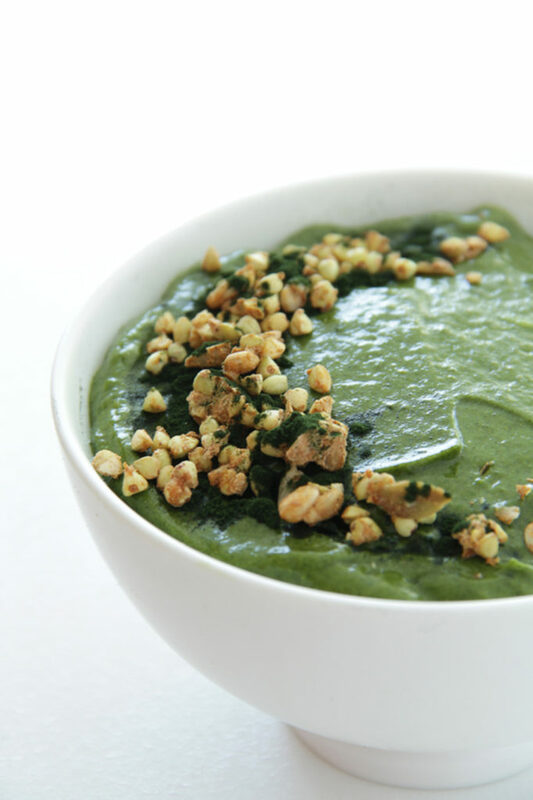 This recipe combines other yummy whole plant-based ingredients to slow down the carbohydrate absorption and creates a steady blood sugar flow for longer lasting energy. 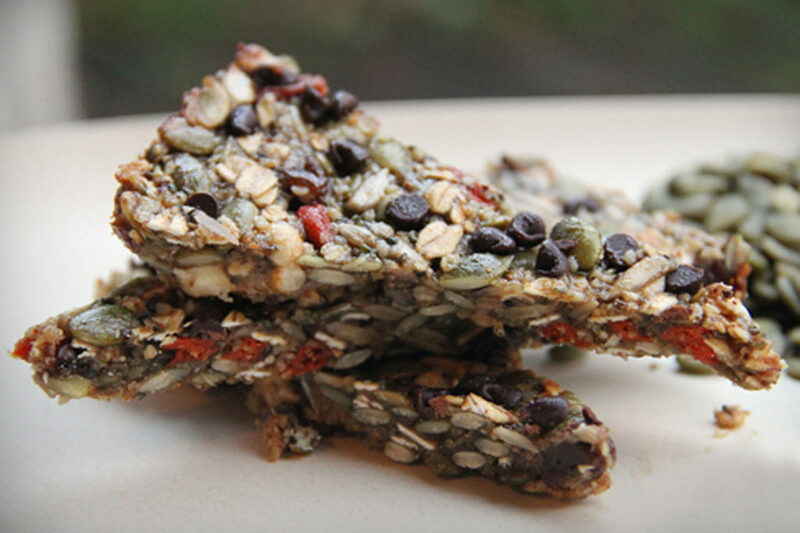 Raw energy bars are such a great, natural, pre-workout snack. 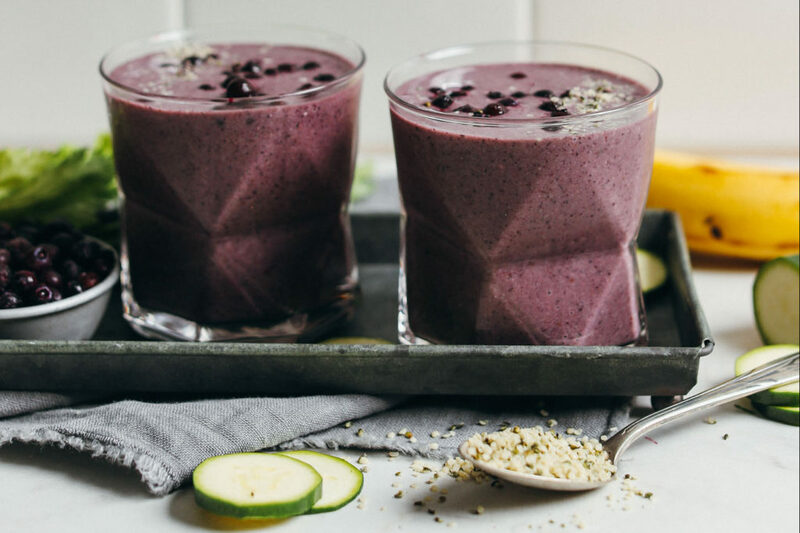 This recipe is full of “superfoods” such as hemp, goji berries, and chia, making them an ideal choice for sustaining physical activity. Making your own energy bar is often more cost-effective and much healthier than store-bought ones. This recipe is quick, easy and delicious! 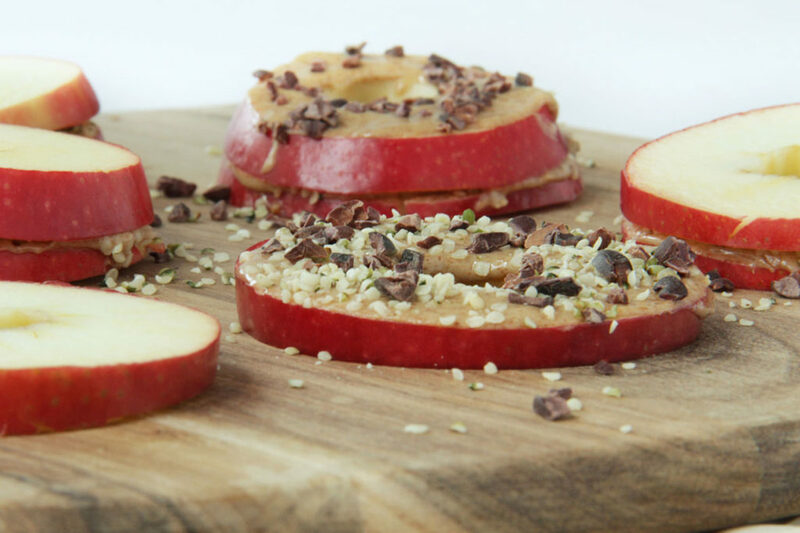 This fun little snack can be quickly assembled by slicing a small apple and topping it with a thin layer of raw almond butter. I realize that apples and nut butter are nothing new, but somehow the addition of hemp hearts and crunchy cocoa nibs makes them that much more satisfying. These little sandwiches are perfect fuel for your workout. The apple provides carbohydrates and the almond butter and hemp provides protein and healthy fats. While many people want to know what to eat before a workout, what we eat after workouts is somehow an overlooked part of training. Many times it becomes a free-for-all (anything in the pantry that will satisfy our hunger). But post-workout nutrition is incredibly important to see the benefits of all the hard work you put in during your sessions. HYDRATION is a key! Drink at least 1/2 a liter (16oz) of water directly after your workout to replenish fluids. NEVER starve yourself after a workout! Your post-workout nutrition is very important! Skipping this important meal WILL NOT help you lose weight or burn body fat. On the contrary, you will inhibit muscle growth and repair, make your body weak and unhealthy. OPTIMIZE recovery. Eat (or drink) your recovery meal within the first 15-60 minutes following your workout. Choose something easily digestible that consists mostly of simple carbohydrates (ie. dates, pineapple). 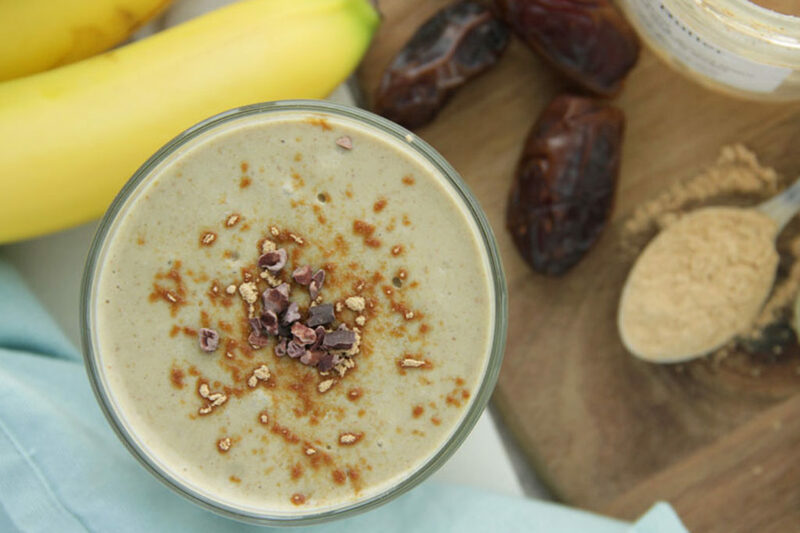 Possibly the most delicious smoothie on Active Vegetarian, this is our go-to after a hard workout for many reasons. One of the key ingredients in this creation is maca. Usually found in the supplement aisle, maca helps your body energize, balance and nourish the adrenal glands and reduce those (fat storing) cortisol levels. Inspired by Thrive Fitness, this post-workout lemonade has a unique mix of ingredients, but don’t let that stop you from trying it! 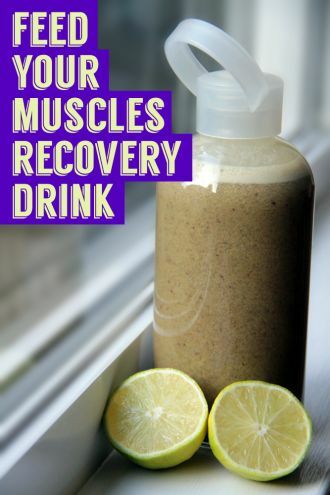 After you’ve pushed yourself through a workout, your body is too tired to work at heavy digestion—refuel with this recovery drink and you will supply your body with all it needs to repair and heal. 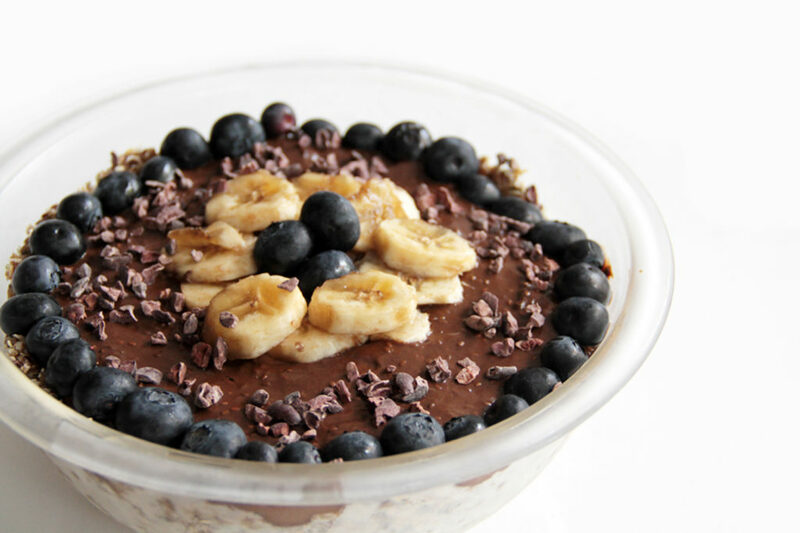 Puddings full of superfoods are another great way to get nutrients into your blood and muscles quicker. Since the ingredients are already broken down, your body doesn’t need to work as hard to absorb and break the food down further. 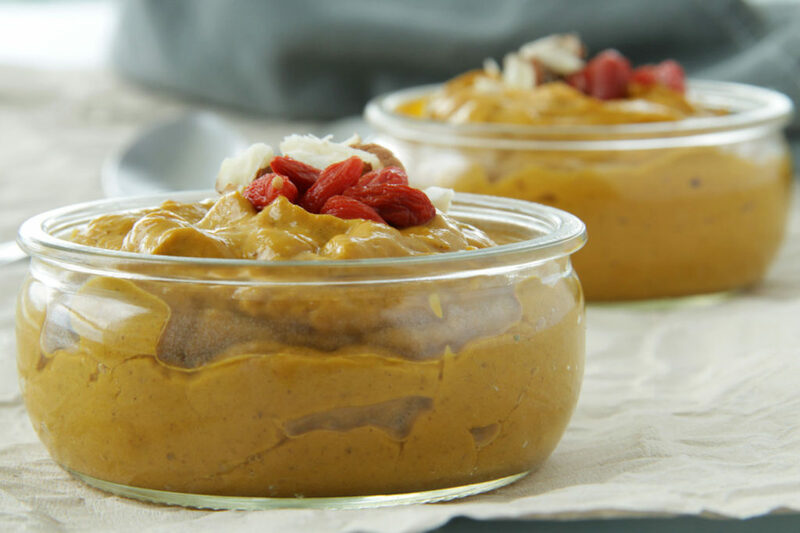 This recipe includes a healthy dose of goji berries, which are known to strengthen the glands that are responsible for generating energy, muscle growth, and repair – the adrenals, thymus, thyroid and pituitary. In addition, ysing quality herbal formulas with adaptogen, goji berries stimulate the regeneration of muscles so they are a great post workout food! 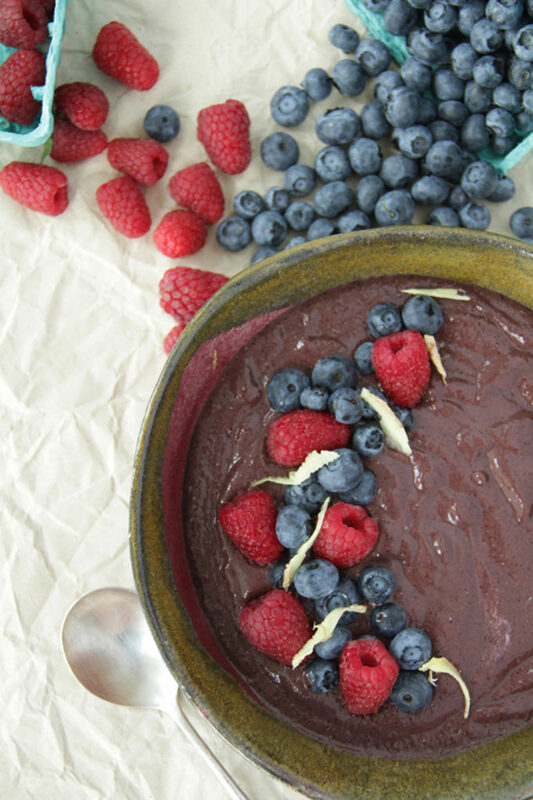 Massive antioxidant-rich smoothie bowl topped with some fresh berries is ideal for those who are active. It’s perfect right after a workout to help combat the free radical damage done by increased oxygen uptake during an exercise. This recipe is simple, takes about 10 minutes (clean up included), and uses only a few ingredients. 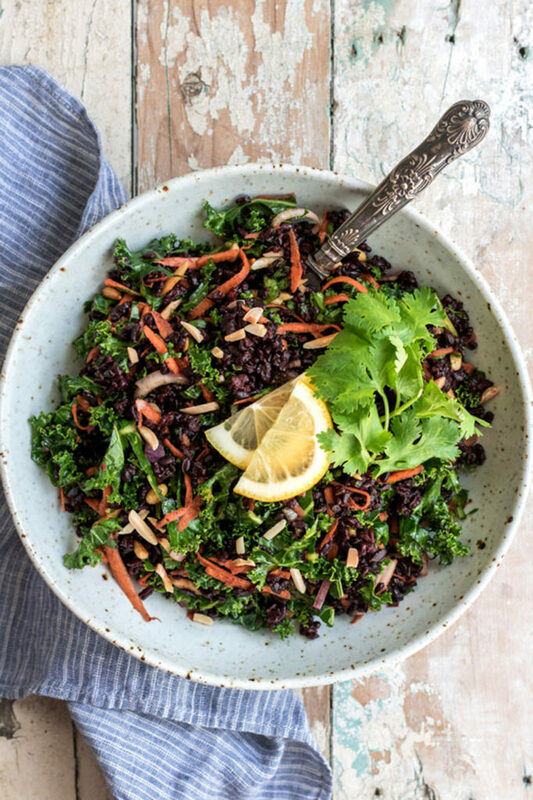 Dark leafy greens such as kale, Swiss chard and collard greens are rich in antioxidants and an important post-workout food. Incorporating a salad into your post-workout meal will help you manage the inflammation created during your workout and enable muscle tissue to grow stronger in a shorter amount of time. 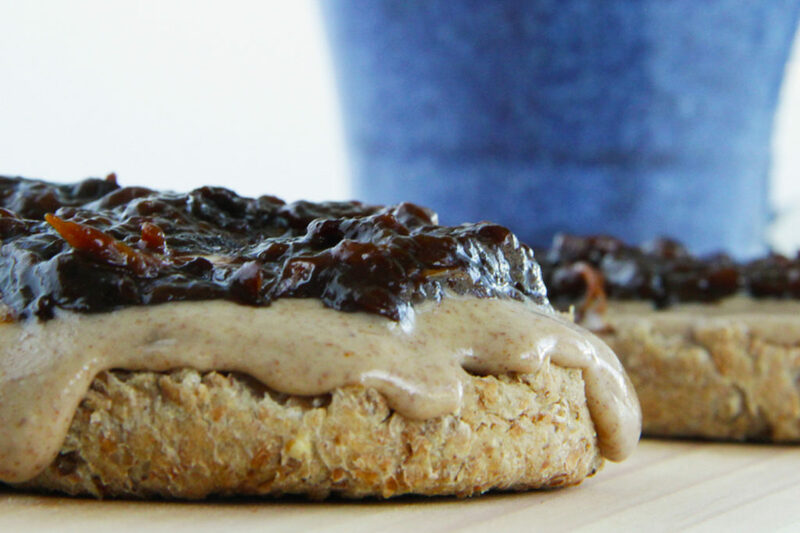 If a workout leaves you hungry, you should go for a hearty post-workout snack with high protein, such as this sprouted grain english muffin topped with raw almond butter and homemade prune jelly. It’s quick, nutritious and satisfying. I hope this has helped you gain some insight into how to best fuel your body for your workouts! Trust that a whole-food, plant-based diet will result in optimal health and athletic performance, including cleansing the body, losing excess weight and building muscle. As always, we are here for you! 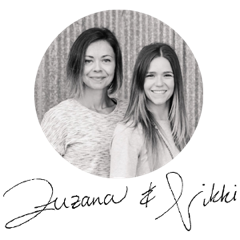 If you would like more help implementing healthy habits, if you need someone to keep you accountable and guide you on this journey to better health, you can count on us! Look into our AV Coaching and don’t forget you can also find us on Facebook, follow us on Pinterest and on Instagram for daily tips and inspiration! Copyright © 2019 Active Vegetarian — All Rights Reserved.